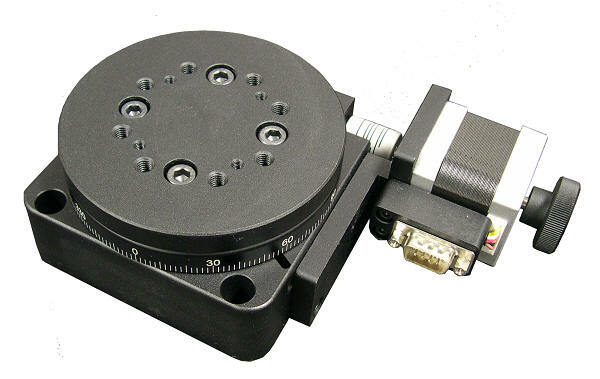 This motorized rotary stage is made of aluminum alloy with an elegant black anodized surface. The drive mechanism is worm and worm gear. The worm gear ratio is 180:1. The maximum load of this rotary table is 45 Kg. 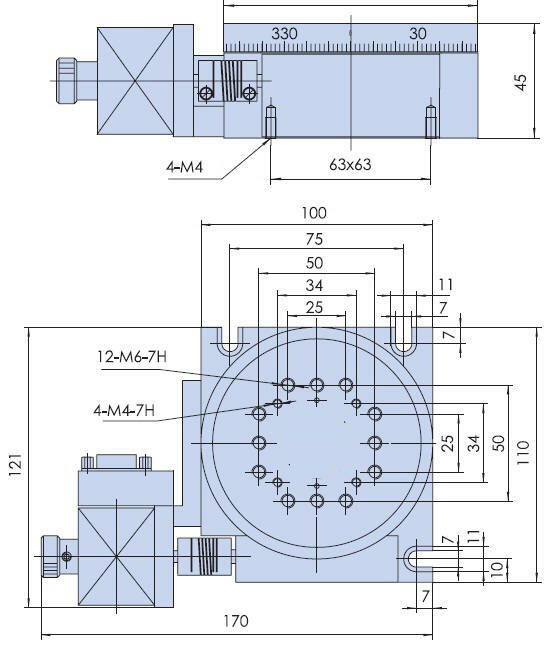 This 100 mm diameter rotary actuator has a body weight of 1.7 Kg. The top plate mounted indicator shows the angle of rotation.